In the West Midlands, much of our industrial heritage is based around the abundant coal measures left by a tropical rainforest, 250 million years ago (Ma). These wetland forests were much like the flooded forests of the Amazon today as they were flooded regularly by the rising tides of the nearby sea forming swamps amongst the twisted roots. Over geological time a large amount of organic matter was buried by subsidence or tectonic activity. As pressure built up with depth the carbon content also increased and a reduction in moisture and volatiles occurred. This process is known as coalification. This means that the organic matter was transformed from peat to brown coal and bituminous coal until it reached the highest carbon rich grade of anthracite coal in certain situations. During this period there was a much higher level of atmospheric oxygen in the atmosphere than the present, up to 35%. This amount of oxygen allowed giant insects to thrive such as Meganeura, a dragonfly with a 1 metre wingspan along with a 2 metre long centipede called Arthropleura. The climate at this time was icehouse, meaning there is ice at the poles and cooler temperatures than at present dominate. The Earth eventually moved into greenhouse conditions warming much of the globe to desert conditions by the end of the Permian. Ferns and lycopsid trees that were highly productive in peat formation dominated the forests until the Late Permian in tropical regions of the Earth. There are many theories for the demise of the forests, for example: northward tectonic drift, climate change and vegetation change, all of which would have led to an unsuitable environment for the wetlands of the coal swamps. One of the leading theories for the demise of the ancient forests is the northern movement of the tectonic plates as they moved together to form the super continent of Pangea. This would have essentially dried the forests out. This theory is supported by the appearance of the desert red beds of “New Red Sandstone” in the Permian. The strongest theory is the onset of the Variscan Orogeny. Further tectonic movements as the super continent of Pangea was forming created massive continental crustal collisions leading to the creation of Himalayan scale mountains. These large geographical features may have altered the balance of the climate circulation. They would have acted as a “barrier” to the seasonally wet air masses, which brought monsoons to the forested regions. This resulted in a lack of wetlands and the destruction of the vegetation that grew within them. The uplift of the coastal and continental shelf (Variscan Foreland) regions caused the existing lowland areas to become higher in altitude therefore decreasing the average temperatures at those locations, and this may not have been suitable for the wetland vegetation. At the present, coal has a high economic importance especially in the Far East where it is the most widely used fuel for the industrial regions of China and India as well as Eastern Europe. There is still around a 200 year supply of coal in the UK, but it is not fully utilised due to greener energies and cheaper foreign imports. This word search puzzle page has been adapted from an item in Newsletter 196 by Chris Broughton & Alison Roberts. 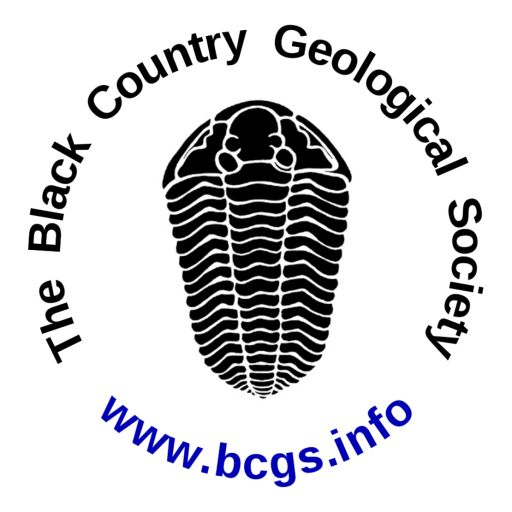 Copyright © March 2019 The Black Country Geological Society - All Rights Reserved. For geological website queries contact our geowebmaster: Graham Hickman (geowebmaster@bcgs.info). For other website queries contact our webmaster: John Schroder (webmaster@bcgs.info).